Chattanooga ColPac Reusable Small Strip Ice Pack - Vinyl - 3" x 11"
Re-usable ice pack delivering up to 30 minutes of relief to sooth small areas. Is the Chattanooga ColPac Reusuable Quarter Size Vinyl Cold Pack Right for me? Whether you have ankle or wrist pain, the Chattanooga-ColPac Blue Vinyl Strip delivers cold therapy lasting up to 30 minutes. The small cold compress of 3" x 11" is the perfect tool to sooth small, injured areas. Made with durable blue vinyl, this cold pack is soft and flexible, allowing you to re-use many times. Easy to use, simply freeze and apply, molding to the injured area for targeted pain relief. Small, durable, and reliable. 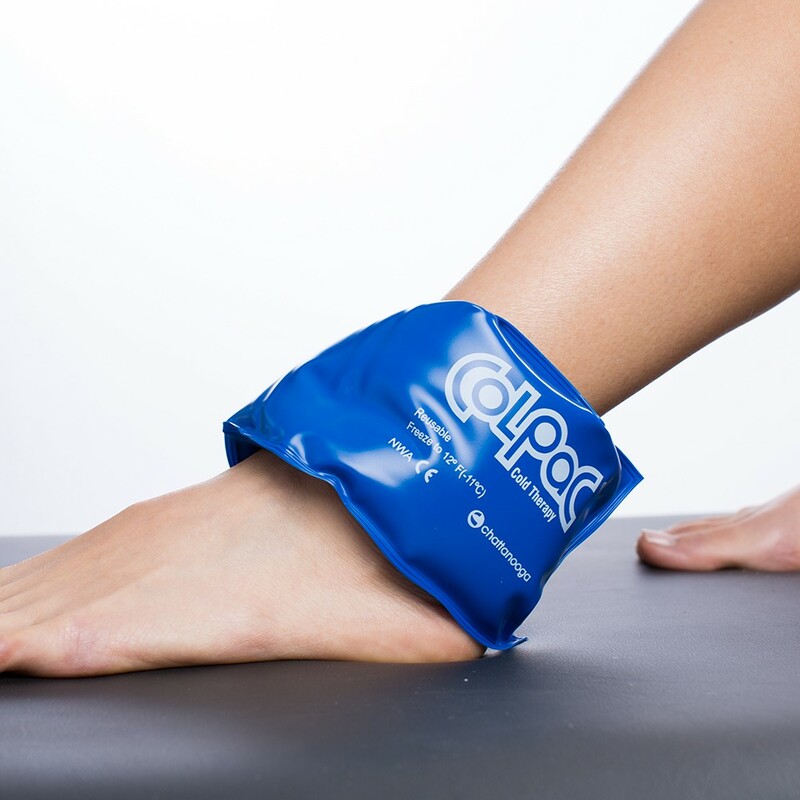 The Chattanooga ColPac Strip is a reusable ice pack to treat ankle, wrist or elbow pain. Commonly used by physical therapists, trainers and doctors to treat patients, this cold compress can deliver up to 30 minutes of cold therapy. Simply lay down and place a thin towel or cloth between your skin and the ice pack, and ice. With a reusable ice pack, you can use this again and again to treat any small muscle group. Meant for cold therapy only; is not designed for hot therapy. This Blue Vinyl Chattanooga ColPac Strip measures at 3" x 11". Durable blue vinyl is perfect to re-use for all of your therapy needs. Good for ankles or wrists. Have not used this yet, but did use its bigger brother. This would be good for icing ankles or wrists when/if the time comes.